Brewed in collaboration with Finback Brewing and presented in a gorgeous cover drawn by tattoo artist, James Butler, 3.05 is a Mosaic Edition Double IPA. It’s a very good one as well, pouring a cloudy peachy gold with a fuzzy little head, its smell boozy penny sweets. 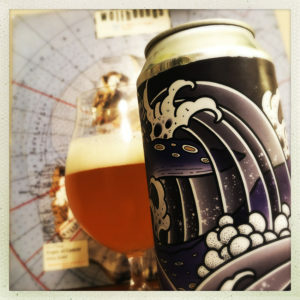 There’s a solid chewy malt backbone, all caramel wafers and barley twists, honey and pancakes, and the Mosaic hops do their thing over the top. Resinous redwood bark and juicy mango, some orange marmalade and a pouch of fresh cut rolling tobacco woodiness is pushed forwards by the warmth of the alcohol that makes for a big bold boozy finish. Founder of CAMRGB. Member of The British Guild Of Beer Writers. Leftist bigmouth. Old and grumpy. 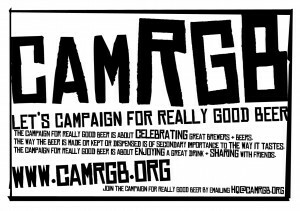 This entry was posted in Beer Review, CAMRGB and tagged 7.5% +, Beer, Beer Review, bottled beer, CAMRGB, Can, Canned beer, DIPA, Double IPA, Drinking, IPA. Bookmark the permalink.